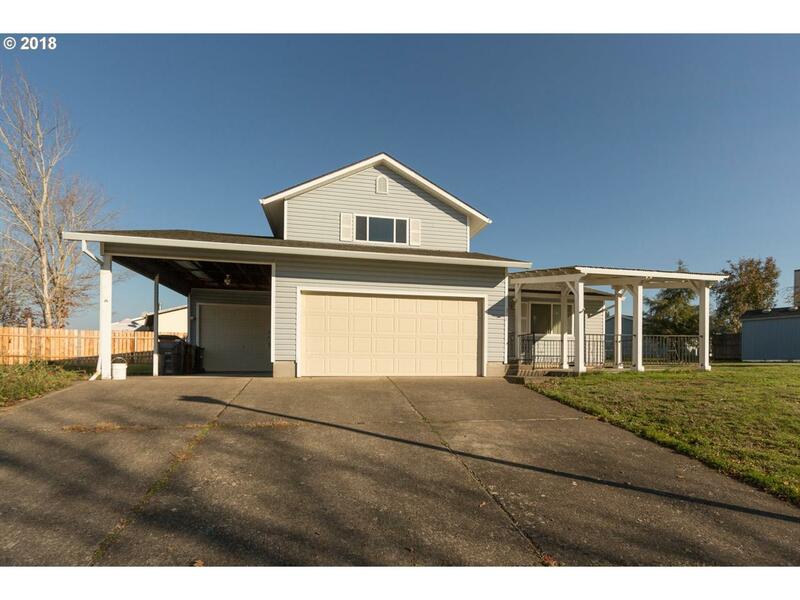 Fabulous home on a Cul-d-sac, extra large lot, great floor plan! Master on the main, and two large rooms upstairs that share a Jack n Jill style bathroom. 2 car garage, plus another single car/motorcycle garage and a covered car port. Covered front patio to relax and enjoy the sunsets! Large yard to entertain, garden, let the kids and the dogs run! Super nice "Tuff Shed" in the back yard. The content relating to real estate for sale on this web site comes in part from the IDX program of the RMLS™ of Portland, Oregon. Real estate listings held by brokerage firms other than Change Realty are marked with the RMLS™ logo, and detailed information about these properties includes the names of the listing brokers. Listing content is copyright © 2019 RMLS™, Portland, Oregon. Data last updated 2019-04-25T20:59:36.19.Data deemed reliable but not guaranteed. © 2019 Willamette Valley Multiple Listing Service. All rights reserved. IDX information is provided exclusively for consumers' personal, non-commercial use and may not be used for any purpose other than to identify prospective properties consumers may be interested in purchasing. Information is deemed reliable but is not guaranteed accurate by the MLS or Change Realty. Data last updated: 2019-04-25T21:08:56.483.